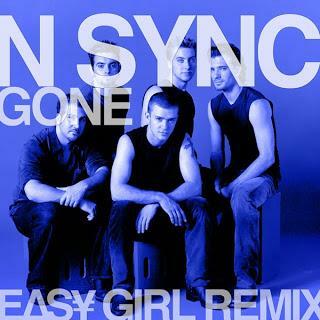 Not only did Taylor Swift appear on the site yesterday, now today we have a remix of N'Sync's "Gone" by Easy Girl. While I always thought Justin Timberlake was a talented guy, I couldn't stand the bubblegum pop sound of all those boy bands during that time. Granted, you might catch me singing "Bye Bye Bye," but that is besides the point. On this remix, Easy Girl pumps up the energy and turns it into a rager. He still isn't that big, but each new track he is dropping is getting better and better (like this "Wrecking Ball" remix). Stream and download his "Gone" remix below.